Hey Wholesalers! The Club Has Buyers! ▼Partner with The Club for Great Returns! 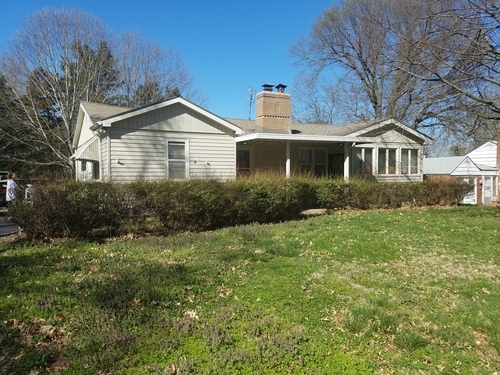 This property contract is for subject property located at 10900 E 66th St Raytown MO 64133 - Needs very little work for a landlord buyer - basic type fix and flip - NOTHING complicated here folks>>> I am accepting offers over 80K - This WEEKEND ONLY. ALMOST - Turn key investment property. Lease is now month to month. Lots of space! 3 br/ 1 ba, living room, kitchen, dining room, family room, enclosed porch, and main level rec room provide ample space for living and entertaining. Beautiful hardwood floors throughout, lots of kitchen cabinets, metal siding and lifetime roof are a few of the features that make this the home for you. Solid foundation and large yard. This one won't last! Landscaping required to make the property pristine, presentable and with curb appeal. Service/repair of the mechanical system to assure maximum efficiency. Updating kitchen and bathroom cabinets. Fresh Paint on the interior to modernize the look and feel of the home. Rehab budget used was $35,000 to complete the above. Share this with someone else! | Print Flyer | See our Current Inventory! CLICK HERE TO SEE JUSTIN EXPLAIN WHAT's UP!